In the Era of functional exercise: is squatting enough? Or is there still a role for the leg-extension? The leg-extension machine has been used extensively for decades in gyms and clinics, either to improve athletes’ performance and/or use in rehabilitation programs. 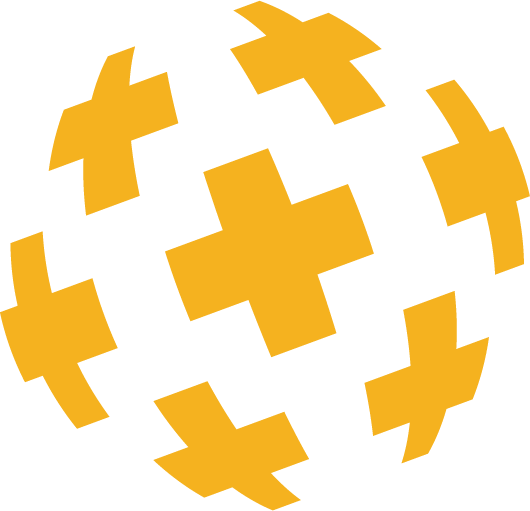 However, over the last years, it has been under a significant amount of criticism by both sports and healthcare professionals, with its usage been declining due to the anecdotal evidence supported by bloggers and websites, mostly through opinion articles with low and sometimes absent scientific research support. This wave of criticism is having its leap nowadays, where an extensive amount of theories regarding “functional training”, motor control and movement patterns are playing a significant role in rehabilitation and fitness “guidelines”. According to these theories, a device that only allows a limited degree of movement freedom, using only one axis of movement and that doesn’t replicate the nature of the human movement, does not seem to fit their core principles. 5- The leg-extension is not a functional exercise. However, does the existing scientific evidence support those statements? Or are those just the product of personal and empiric beliefs that were spread throughout the sports and rehabilitation community without a considerable evidence base? In this Football Medicine® article, we discuss, in light of the existing scientific evidence, if we can assume that those statements are actually facts or myths instead, answering to the title of this paper: Is squatting enough? Or is there still a role for the leg-extension? Due to the extent of this Football Medicine®, we decided to present it in a different layout, splitting in two sections. The first section is nothing more than a resume or key-points to reply each of the above questions, considering the existent literature surrounding the subject. And finally, for the ones that wish to explore and/or understand the key-points for the answered questions, the second section will give you the chance to review the literature that supports the first section. 1- The leg-extension machine is detrimental for an ACL reconstruction rehabilitation. 2- The leg-extension machine/quadriceps open kinetic chain (OKC) exercise has very limited use in patellofemoral pain syndrome, and is inclusively likely to cause and aggravate this clinical condition. CKC exercises imply higher peak joint loading to the patellofemoral joint than OKC. 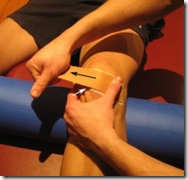 3- The leg-extension, when heavily loaded, increase the risk to develop patellar tendinopathy. Any exercise, performed with inappropriate load and/or periodization has the potential to develop overuse injuries like tendinopathies. 4- The leg-extension is not able to improve sports physical performance. Leg-extension exercise might be of extreme value for athletes’ joint loading management when combined with CKC exercises, once, decreasing the volume of the last ones, is possible to decrease the axial forces volume in the knee joint. Quadriceps strength improvement using the leg-extension exercise is proven to have transfer for sports performance skills, thus must be considered a potential functional exercise. Leg-extension exercise should be wisely included in rehabilitation and fitness programs in order to provide kinetic chains variability, better muscular adaptations with less accommodation, always in a well periodized manner. One of the greatest concerns when conducting an ACL reconstruction rehabilitation is not to impose inappropriate tension/loads to the graft that might lead to its excessive lengthening or even tearing, resulting in knee instability and eventually graft failure. It is widely accepted and proven that knee open-kinetic chain exercises, like the leg-extension machine, increase the shear forces in the tibia, producing an anterior translation that increase tensile forces on ACL graft. However, this is not exclusive of these exercise types (McGinty, Irrgang, & Pezzullo, 2000; Keays, Sayers, Mellifont, & Richardson, 2013; Luque-Seron & Medina-Porqueres, 2016). Many researchers studied the anterior tibial displacement and peak ACL strain produced by several knee dominant exercises and concluded that, besides OKC exercises generally producing higher anterior tibial translation than CKC exercises, the latter also produced a considerable amount of ACL strain values (McGinty, Irrgang, & Pezzullo, 2000; Toutoungi, Lu, Leardini, Catani, & O’Connor, 2000; Escamilla, MacLeod, Wilk, Paulos, & Andrews, 2012) and, in some cases, higher anterior tibial displacement (Keays, Sayers, Mellifont, & Richardson, 2013; Luque-Seron & Medina-Porqueres, 2016). However, due to the increase in hamstrings activity, CKC exercises do not seem to increase ACL strain in the same proportion as OKC exercises when the external load is incremented (Escamilla, MacLeod, Wilk, Paulos, & Andrews, 2012). These results are against the beliefs that CKC exercises do not induce significant strain forces on the ACL graft, and therefore, more appropriate for an ACL rehabilitation. The role of the sagittal forces in the tibia during a leg-extension exercise is easily understood if we consider the implication of a weight applied on a 3rd class-lever as the knee joint, as shown in Figure 2. However, the same does not apply for the axial forces that might also imply shear forces on the tibia, resulting in its anterior translation. When axially loaded, the knee joint might have two antagonist behaviors on the sagittal plane, producing an anterior or posterior tibial translation, depending on a higher or lower degree of knee flexion, respectively, or trunk position relative to the knee (McGinty, Irrgang, & Pezzullo, 2000; Keays, Sayers, Mellifont, & Richardson, 2013). However, this antagonist behavior is also present in the OKC exercises in respect to the angle in which the exercise is performed. Escamilla et al. (2012) showed that while exercising in the leg-extension, an anterior tibial translation no longer occurs if the task is performed in between 100 and 60 degrees of knee flexion. From 60 to 0 degrees flexion, that is to full extension, the anterior tibial translation moment starts and keeps increasing (Escamilla, MacLeod, Wilk, Paulos, & Andrews, 2012). This effect can be significantly reduced if the contact point of the resistance on the tibia is changed from the distal portion to the mid-portion, decreasing by the half the ACL strain values at 30º flexion during the leg-extension exercise (Escamilla, MacLeod, Wilk, Paulos, & Andrews, 2012). On the other hand, while performing a CKC exercise like a wall squat, anterior tibial translation will be minimal while in full extension, but will become higher with the increase in the knee flexion angle until around 50º, the opposite to what happens in OKC exercises. In CKC exercises, anterior tibial translation and peak ACL strain are strongly affected by the trunk position and knee positions (McGinty, Irrgang, & Pezzullo, 2000; Escamilla, MacLeod, Wilk, Paulos, & Andrews, 2012; Keays, Sayers, Mellifont, & Richardson, 2013). Mikkelsen et al. (2000) conducted a study to compare the outcomes of two different ACL reconstruction rehabilitation protocols. One group performed knee CKC exercises exclusively, while the other group performed a combination of CKC and OKC (leg-extension) exercises during the rehabilitation. Measured outcomes were: 1) the time needed to reach balanced strength on quadriceps; 2) return-to-play time; and 3) ACL graft stability (Mikkelsen, Werner, & Eriksson, 2000). The study results showed that, subjects that performed a combination of OKC and CKC exercises not only reached quadriceps strength balance sooner, as they also returned-to-play quicker (approximately 2 months earlier) and without any sign of ACL instability, measured with and arthrometer, compared with the CKC group. OKC exercises benefits during ACL rehabilitations have also been reported in other studies (Fleming, Oksendahl, & Beynnon, 2005; Fukuda, et al., 2013; Barcellona, Morrissey, Milligan, Clinton, & Amis, 2015, Melick, et al., 2016). OKC exercises combined with CKC exercises lead to better ACL reconstruction rehabilitation outcomes than CKC exercises alone. OKC exercises, although producing higher anterior tibial translation and ACL graft strain than CKC exercises, probably are not enough to induce permanent plastic changes on the graft, leading to its excessive lengthening, once no instability signs were observed between groups, proving its safety when performed in ACL reconstruction rehabilitations. The patellofemoral pain syndrome is a condition that plays an important role in sports, especially for female athletes, in which its incidence is higher. This clinical condition is usually presented as an anterior knee pain, that aggravates with knee flexion positions (mainly in closed kinetic chain positions), limiting actions like running or decelerating, as the result of an ineffective distribution of the compressive forces over the contact area of the patellofemoral joint, leading to increased joint pressure. Several reasons may lead to this decrease in the contact area, being some of them local (e.g. patellar misalignment, VMO delayed onset) or distant (e.g. excessive internal rotation of the femur posture or hip frontal plane muscles imbalance) dysfunctions (Bolgla, Malone, Umberger, & Uhl, 2008; Rothermich, Glaviano, Li, & Hart, 2015). Due to the importance of the hip motor control over the knee complex alignment and the special role that CKC exercises have on the VMO recruitment, these exercises are known to be the gold standard on a patellofemoral pain rehabilitation (Rothermich, Glaviano, Li, & Hart, 2015). However, does this mean that we should only use those exercises to treat this clinical condition? In our opinion, it might not be the wisest decision. It is widely accepted that, especially in impact situations, muscles are responsible to absorb the load from that event, decreasing joint loading. When this doesn’t happen, joints are overloaded and prone to develop dysfunctions or increase the nociceptive information that might lead the subject to perceive pain on that spot, even without the presence of a structural damage (Yildiz, et al., 2003). As we discussed on the previous topic, OKC exercises might play a significant role on the management/correction of quadriceps strength imbalances when combined with CKC exercises, once several of these patients will be presenting this clinical sign – quadriceps strength deficit (Lankhorst, Bierma-Zeinstra, & Van Middelkoop, 2013). However, it is widely accepted that OKC exercises increase the compressive forces of patella over the femoral condyles (Yildiz, et al., 2003), which has been leading some professionals to assume that those exercises are counter-indicated for this syndrome and that might even rehearse and cause it. This leads to another question: Does CKC have no effect on patellofemoral compressive forces? Research shows it does have an important role on patellofemoral compressive forces, even higher than OKC exercises, but in different knee joint positions. If the compressive forces are considered, CKC exercises might impose significantly higher forces than OKC exercises like leg-extension to the patellofemoral joint, depending on the knee angle. However, careful considerations regarding this matter should be taken because the patellofemoral joint stress will be influenced not only by the compressive/joint reaction forces, but also by the contact area available on that moment. Once both variables will be subject to significant variation during OKC and CKC exercises depending on the range of motion (McGinty, Irrgang, & Pezzullo, 2000; Loudon, 2016). Analyzing leg-extension and squat biomechanics might be useful to a better understanding of this phenomenon. As shown in Figure 6, while squatting from knee extended position to 90 degrees flexion, the compressive forces on the patellofemoral joint increase significantly (after the first 15 degrees when the patella starts to contact with femoral condyles), however, simultaneously, the joint contact area also increases, which imposes less patellofemoral joint stress. On the other hand, whilst performing a leg-extension – variable resistance – from 90 degrees flexion to full extension, in the beginning of the movement, and besides having also a considerable amount of compressive forces on the patella (not as higher as in squatting due to the unloading position), the available contact area is also high, which decreases the patellofemoral joint stress. However, and opposite to the CKC exercise, during an OKC exercise, the compressive forces will increase as the knee flexion angle decreases, once quadriceps will have to produce a higher torque, whilst, at the same time, the contact area of the patella over the condyles is decreasing (McGinty, Irrgang, & Pezzullo, 2000; Powers, Ho, Chen, Souza, & Farrokhi, 2014; Loudon, 2016). This results in higher patellofemoral joint stress, especially towards less than 45 degrees flexion. 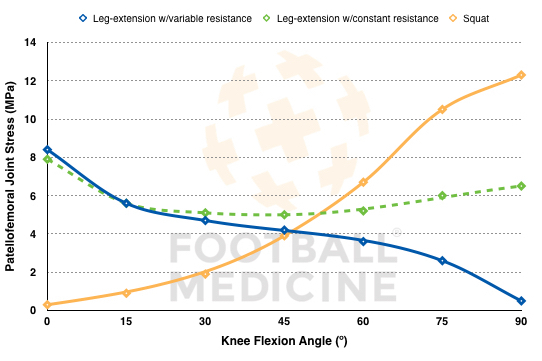 This phenomenon happens because during a CKC exercises the resistance momentum increases with the knee flexion, opposing to OKC, in which the resistance momentum increases with knee extension (McGinty, Irrgang, & Pezzullo, 2000; Powers, Ho, Chen, Souza, & Farrokhi, 2014; Loudon, 2016). These details might be of extreme importance considering either rehabilitation or asymptomatic patients, in which you might wish to increase quadriceps strength with the least joint loading possible. Regarding rehabilitation interventions, and knowing that patellofemoral pain symptoms are usually present in a particular arch of the movement and not in the full range of motion (Rothermich, Glaviano, Li, & Hart, 2015), the physiotherapist might plan his intervention using CKC and OKC exercises accordingly. This will allow to decrease the load and joint pressure whilst using a graded-exposure approach regarding positions/ranges and exercise types during the strengthening program. In what concerns asymptomatic patients (e.g. chondromalacia), the knowledge of the location of the degenerative feature might be useful to adjust some parameters of the strengthening program, selecting positions/exercises/kinetic chains that will impose less unnecessary stress/load to that site (McGinty, Irrgang, & Pezzullo, 2000; Powers, Ho, Chen, Souza, & Farrokhi, 2014). As stated before in this article, patellofemoral pain symptoms are mostly present in loading situations (Rothermich, Glaviano, Li, & Hart, 2015) and it is well confirmed in literature that pain, as a perception, is influenced not only by the tissues’ mechanical loading but also by the neurophysiology/central nervous system (Hargrove, 2014). Research has shown that, as a behavior, pain might be linked to certain movement patterns, even though they might be structurally harmless in that moment, especially when that symptomatic episode is lasting for a considerable amount of time (Hargrove, 2014). This means that, in severely symptomatic patients, an initial OKC approach might be adopted to avoid the awareness caused by the CKC. Together with this, the combination of exposure to each type of exercises, considering its particular biomechanical features, may be part of a well-designed graded-exposure strategy (Hargrove, 2014; Powers, Ho, Chen, Souza, & Farrokhi, 2014). CKC exercises are the gold standard for patellar tendinopathy rehabilitation in terms of local exercise selection due to its effects not only on the mechanical loading and properties of the tendon, but also by the enhancement of motor control strategies of the whole lower limb (Malliaras, Cook, Purdam, & Rio, 2015). However, OKC exercises might play a role on this pathology by some of the reason mentioned in the above topics regarding quadriceps strengthening and graded-exposure strategies (Cannell, Taunton, Clement, Smith, & Khan, 2001; Malliaras, Cook, Purdam, & Rio, 2015). It would be, at least a non-sense to consider the leg-extension exercise a cause of the patellar tendinopathy or a useless exercise to its rehabilitation when the studies regarding this issue demonstrated that the clinical condition might be improved with that approach. As any overuse condition, patellar tendinopathy is developed mainly due to inadequate loading:resting/recovery ratios, and aggravated when additional risk factors are present (e.g. strength deficits, decreased dorsiflexion lunge) (Malliaras, Cook, Purdam, & Rio, 2015). It means that, any exercise can potentially contribute to tendinopathies, especially when heavy or excessive loads and inadequate periodization are combined (Malliaras, Cook, Purdam, & Rio, 2015). 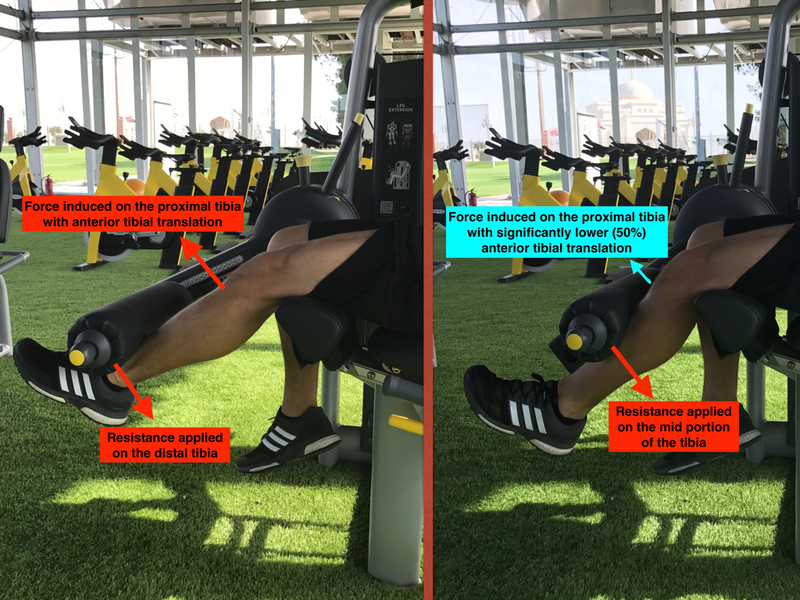 Due to its characteristics (focused only in quadriceps, user-friendly, passive stabilization), users of the leg-extension are more prone to workout with higher percentage of their maximal resistance (RM) in the leg-extension than in a weightbearing exercise like a back squat, once the latter implicates a multi segmental movement with a considerable level of motor control strategies. In other words, it will be a lot easier for an athlete to self-determine and workout with a load around 8RM (e.g.) on a leg-extension than in a back squat, which at least in the first sets and training sessions will probably be under-estimated. This might be one explanation why some professionals correlate the leg-extension with patellar tendinopathy occurrence. Being an isolated quadriceps exercise and not allowing many compensatory movements, together with being easily loaded due to its high stabilization, in the presence of an inappropriate periodization, naturally repeated high loads might increase the risk for development of tendon degenerative processes. Concluding, it is not the leg-extension exercise itself that contributes for the tendinopathy development, but an inappropriate use of it. In fact, as studies show, it can help to treat this condition. Most of the sports skills like sprinting, changing direction, jumping, accelerating/decelerating rely, although not exclusively, on a reasonable quadriceps capability to produce strength (Helland, et al., 2017). The aim of the leg-extension machine is, obviously, to increase quadriceps strength, which is well documented outcome in literature (Cannell, Taunton, Clement, Smith, & Khan, 2001). A considerable amount of criticism surrounds the leg-extension machine regarding its effect on sports physical performance, sustained on the arguments that, being directed to a single muscle, using an uni-axial movement and with a passive stabilization, it fails to replicate the functional pattern used in sports, better reproduced by CKC exercises (Mayer, et al., 2003). However, is this supported by current scientific research or results from sports professionals’ individual beliefs? Should the simple fact that strength improvements achieved by exercising in the leg-extension a sufficient argument for its ability to enhance physical performance skills that are influenced by quadriceps strength? Actual evidence shows that quadriceps strengthening using a leg-extension machine has transfer to most of the sports specific actions like sprinting, changing direction and jumping abilities, although in a minor extent than CKC exercises like squats (Hackett, Davies, Soomro, & Halaki, 2015). Despite not being the gold standard for sports physical performance improvement on a first glance, it is wrong to say that leg-extension has no positive effects on sports skills (Hackett, Davies, Soomro, & Halaki, 2015). Additionally, professional sport is known to promote significant early degenerative conditions to the musculoskeletal system (Takeda, Nakagawa, Nakamura, & Engebretsen, 2011; Jayabalan & Ihm, 2016), this exercise variant might be a useful equipment to combine with other CKC exercises to maintain/increase quadriceps/lower limb strength and power (Jayabalan & Ihm, 2016; Melick, et al., 2016). This will, at the same time, decrease the joint loading once it diminishes the axial forces over the joint (McGinty, Irrgang, & Pezzullo, 2000), which are in turn responsible for the exacerbation of this chronic conditions’ clinical signs (e.g. joint effusion) (Lin, Lin, Lin, & Jan, 2009). CKC exercises like squatting present increased sport specificity compared to the leg-extension due to its multi-joint movement properties, similar movement patterns and neuromuscular recruitment, or improvement of dynamic posture (Malliaras, Cook, Purdam, & Rio, 2015). However, this kind of exercises have a significantly higher impact on the joint loading due to the axial forces (McGinty, Irrgang, & Pezzullo, 2000), which can be avoided with a wisely combination with the OKC exercises without compromising performance enhancement strategies. OKC exercises introducing might also be appealing in the gym programs if we consider the importance of the variability and use of different kind of stimulus for muscle adaptation, avoiding accommodation stages (combination of OKC and CKC exercises). According to this definition, leg-extension exercise must be considered a potential functional exercise, once it is well documented in literature that it has transfer for functional capabilities, as discussed in the previous topic (Hackett, Davies, Soomro, & Halaki, 2015). 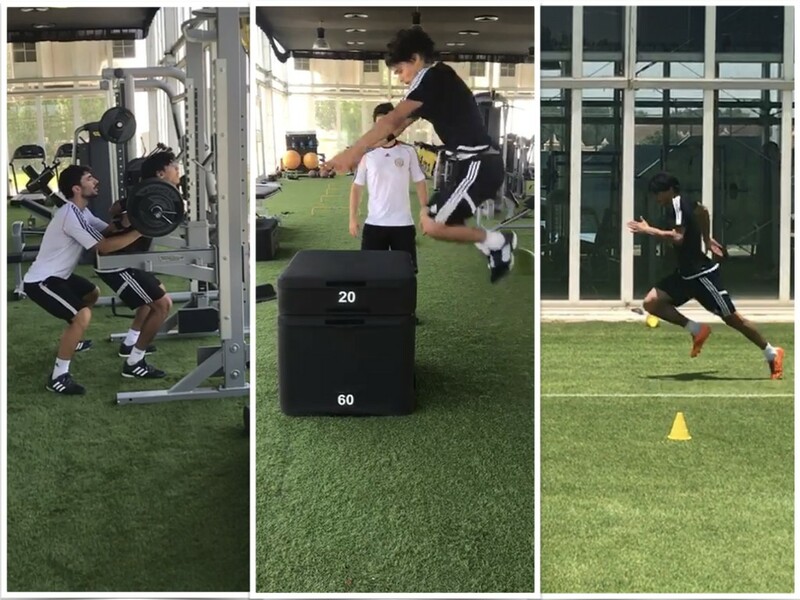 An exercise presently considered as functional for an athlete in order to improve jumping performance may lose this quality if, improvement in its outcomes (e.g. increased loading capability) does not correlate with an improvement in the target functional skill (e.g. improving the jump height). The Isokinetic Dynamometer (IKD) fills an important place on the return-to-play criteria after injury, especially in muscle injuries and knee joint injuries rehabilitations (Delvaux, et al., 2014; Melick, et al., 2016). 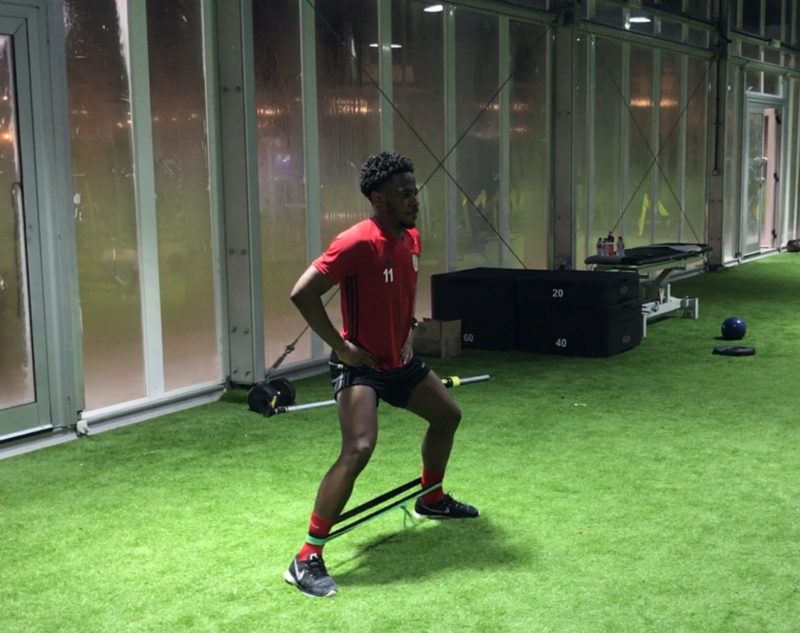 Several studies show that the IKD performance is a valid marker for the return-to-play of several clinical conditions like hamstring injuries and ACL reconstructions (Delvaux, et al., 2014; Melick, et al., 2016). Being the IKD movement pretty much the same as the leg-extension machine but with different speed properties, it is reasonable to assume that return-to-play criteria might be easily reached if the athlete performs the leg-extension machine during his rehabilitation process, considering that leg-extension has a positive transfer effect for the IKD testing performance. 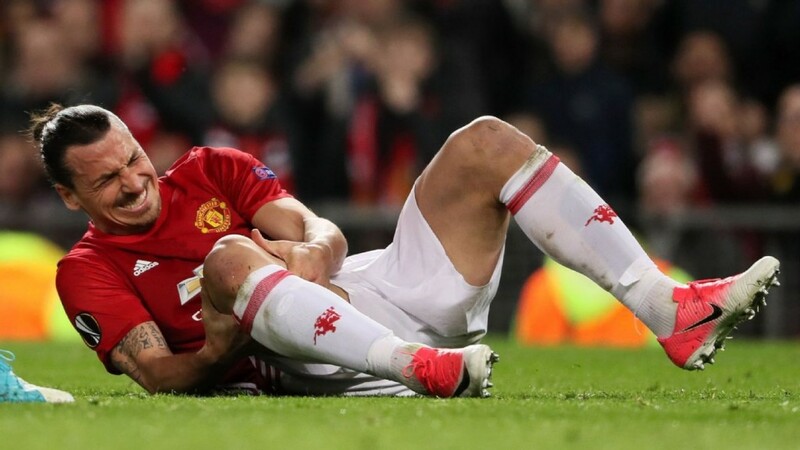 Despite having a significant amount of criticism surrounding it, there is a lack of research, together with speculation, about the detrimental effects of the leg-extension exercise or its usefulness as a performance or rehabilitation exercise. In our opinion, at Football Medicine®, there are certainly benefits in including this form of kinetic chain exercise. CKC exercise add the most value to our practice, however, we should not neglect the benefits that can be reached with a wise combination of OKC and CKC exercises to rehabilitate, manage and improve our players performance. In our perspective, the leg-extension should be wisely included in the gym programs, with an appropriate ratio between CKC:OKC exercises in a well periodized manner to avoid detrimental effects of it and to improve our professional outcomes. Barcellona, M., Morrissey, M., Milligan, P., Clinton, M., & Amis, A. (2015). The effect of knee extensor open kinetic chain resistance training in the ACL-injured knee. Knee Surg Sports Traumatol Arthrosc, 23(11), pp. 3168-77. Bolgla, L., Malone, T., Umberger, B., & Uhl, T. (2008). Hip Strength and Hip and Knee Kinematics During Stair Descent in Females With and Without Patellofemoral Pain Syndrome. journal of orthopaedic & sports physical therapy, 38(1), pp. 12-20. Cannell, L., Taunton, J., Clement, D., Smith, C., & Khan, K. (2001). A randomised clinical trial of the eYcacy of drop squats or leg extension/leg curl exercises to treat clinically diagnosed jumper’s knee in athletes: pilot study. British Journal of Sports Medicine, 35, pp. 60-64. Cook, G. (2010). Movement. On Target Publications. Delvaux, F., Rochcongar, P., Bruyère, O., Bourlet, G., Daniel, C., Diverse, P., . . . Croisier, J. (2014). Return-To-Play Criteria after Hamstring Injury: Actual Medicine Practice in Professional Soccer Teams. J Sports Sci Med., 13(3), pp. 721–723. Escamilla, R., MacLeod, T., Wilk, K., Paulos, L., & Andrews, J. (2012). 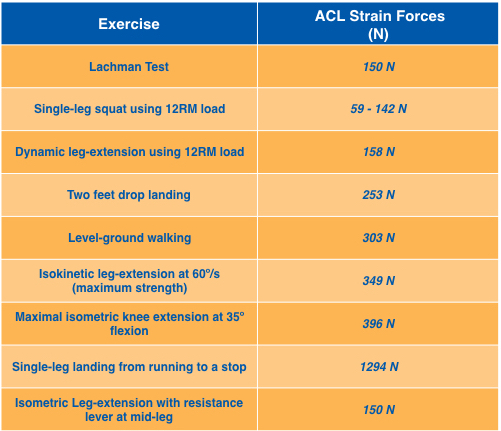 Cruciate ligament loading during common knee rehabilitation exercises. Journal of Engineering in Medicine, 226(9), pp. 670-680. Fleming, B., Oksendahl, H., & Beynnon, B. (2005). Open- or closed-kinetic chain exercises after anterior cruciate ligament reconstruction? Exercise Sports Science Rev., 33(3), pp. 134-140. Fukuda, T., Fingerhut, D., Moreira, V., Camarini, P., Scodeller, N., Duarte Jr, A., . . . Bryk, F. (2013). Open Kinetic Chain Exercises in a Restricted Range of Motion After Anterior Cruciate Ligament Reconstruction – A Randomized Controlled Clinical Trial. The American Journal of Sports Medicine, 41(4), pp. 788-794. Hackett, D., Davies, T., Soomro, N., & Halaki, M. (2015). Olympic weightlifting training improves vertical jump height in sportspeople: a systematic review with meta-analysis. British Journal of Sports Medicine, 0, pp. 1-9. Hargrove, T. R. (2014). A guide to better movement. Better Movement. Helland, C., Hole, E., Iversen, E., Olsson, M., Seynnes, O., Solberg, P., & Paulsen, G. (2017). Training Strategies to Improve Muscle Power: Is Olympic-style Weightlifting Relevant? Medicine and science in sports and exercise, 49(4), pp. 736-745. Jayabalan, P., & Ihm, J. (2016). Rehabilitation Strategies for the Athletic Individual with Early Knee Osteoarthritis. Curr Sports Med Rep., 15(3), pp. 177-183. Keays, S., Sayers, M., Mellifont, D., & Richardson, C. (2013). Tibial displacement and rotation during seated knee extension and wall squatting: A comparative study of tibiofemoral kinematics between chronic unilateral anterior cruciate ligament deficient and healthy knees. The Knee, 20, pp. 346-353. Lankhorst, N., Bierma-Zeinstra, S., & Van Middelkoop, M. (2013). Factors associated with patellofemoral pain syndrome: a systematic review. Br J Sports Med, 47(4), pp. 193-206. Lin, D., Lin, C., Lin, Y., & Jan, M. (2009). Efficacy of 2 non-weight-bearing interventions, proprioception training versus strength training, for patients with knee osteoarthritis: a randomized clinical trial. J Orthop Sports Phys Ther, 39(6), pp. 450-457. Loudon, J. (2016). BIOMECHANICS AND PATHOMECHANICS OF THE PATELLOFEMORAL JOINT. The International Journal of Sports Physical Therapy, 11(6), pp. 820-830. Luque-Seron, J., & Medina-Porqueres, I. (2016). Anterior Cruciate Ligament Strain In Vivo: A Systematic Review. Sports Health, 8(5), pp. 451-455. Malliaras, P., Cook, J., Purdam, C., & Rio, E. (2015). Patellar tendinopathy: clinical diagnosis, load management, and advice for challenging case presentations. Journal of Orthopedic Sports Physical Therapy, 45(11), pp. 887-898. Mayer, F., Schlumberger, A., Cingel, R., Henrotin, Y., Laube, W., & Schmidtbleicher, D. (2003). 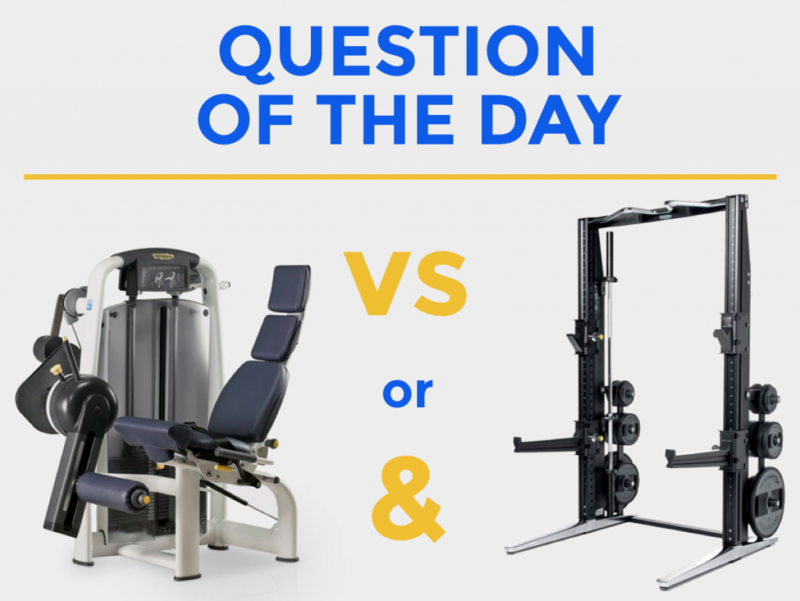 Training and testing in open versus closed kinetic chain. Isokinetics and exercise science, 11(4), pp. 181-187. McGinty, G., Irrgang, J., & Pezzullo, D. (2000). Biomechanical considerations for rehabilitation of the knee. Clinical Biomechanics, 15, pp. 160-166. Melick, N., Cingel, R., Brooijmans, F., Neeter, C., Tienen, T., Hullegie, W., & MWGN, S. (2016). Evidence-based clinical practice update: practice guidelines for anterior cruciate ligament rehabilitation based on a systematic review and multidisciplinary consensus. British Journal of Sports Medicine, 50, pp. 1506-1515. Mikkelsen, C., Werner, S., & Eriksson, E. (2000). Closed kinetic chain alone compared to combined open and closed kinetic chain exercises for quadriceps strengthening after anterior cruciate ligament reconstruction with respect to return to sports: a prospective matched follow-up study. Knee Surg Sports Traumatol Arthrosc, 8(6), pp. 337-342. Powers, C., Ho, K., Chen, Y., Souza, R., & Farrokhi, S. (2014). Patellofemoral joint stress during weight-bearing and non-weight-bearing quadriceps exercises. Journal of Orthopedics and Sports Physical Therapy, 44(5), pp. 320-327. Rothermich, M., Glaviano, N., Li, J., & Hart, J. (2015). Patellofemoral Pain – Epidemiology, Pathophysiology, and Treatment Options. Clinics in sports medicine, 34(2), pp. 313-327. Takeda, H., Nakagawa, T., Nakamura, K., & Engebretsen, L. (2011). Prevention and management of knee osteoarthritis and knee cartilage injury in sports. British Journal of Sports Medicine, 45(4), pp. 304-309. Toutoungi, D., Lu, T., Leardini, A., Catani, F., & O’Connor, J. (2000). Cruciate ligament forces in the human knee during rehabilitation exercises. Clinical Biomechanics, 15, pp. 176-187. Yildiz, Y., Aydin, T., Sekir, U., Cetin, C., Ors, F., & Kalyon, T. (2003). Relation between isokinetic muscle strength and functional capacity in recreational athletes with chondromalacia patellae. Br J Sports Med , 37, pp. 475–479.